Go (Hazel) Nuts! Who doesn’t love Nutella? That’s right- nobody. 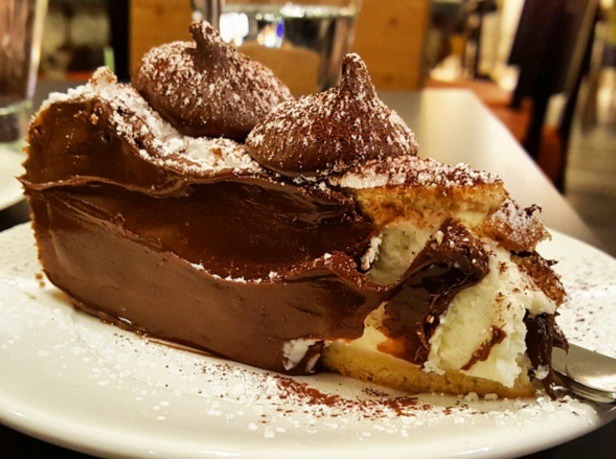 Whilst it hails from Italy (and we can’t thank them enough for sharing), did you know, there are haunts all over Sydney to get a delicious Nutella fix? Here are some cafe specialties and local secrets you need to know about the next time you’re sweet tooth calls. When Foodcraft Espresso introduced Dulwich Hill to the Tella Balls Dessert Bar, we went crazy! 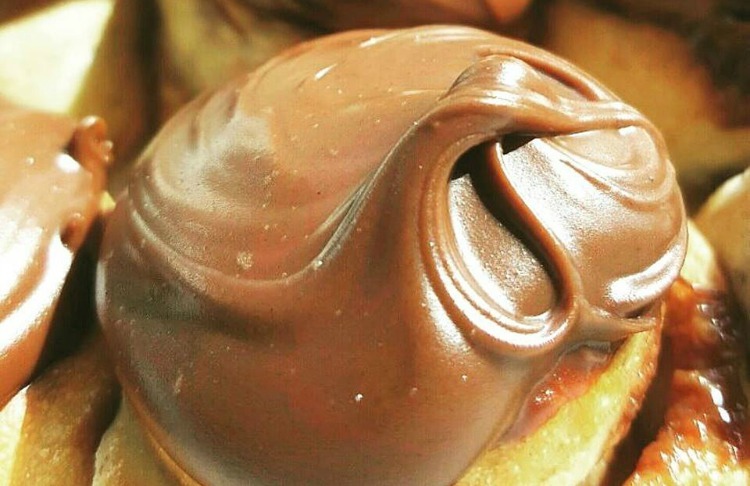 In case you didn’t know, a Tella Ball is basically a doughnut filled with gooey Nutella. 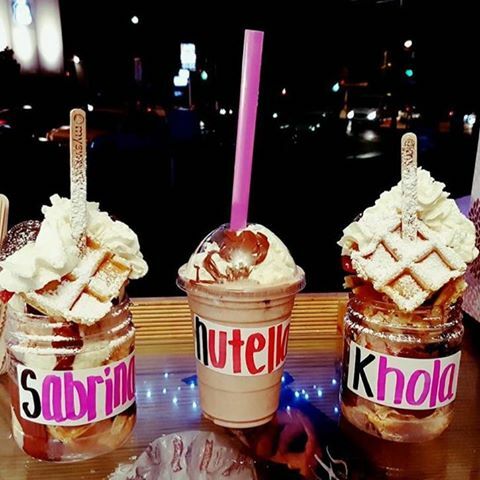 We’d also recommend the Tella Ball Milkshake- a nutella flavoured milkshake (also comes in Kit-Kat flavour) with a Tella Ball on top. The straw literally pushes through the Tella Ball’s pastry and into the sweet depths beneath. 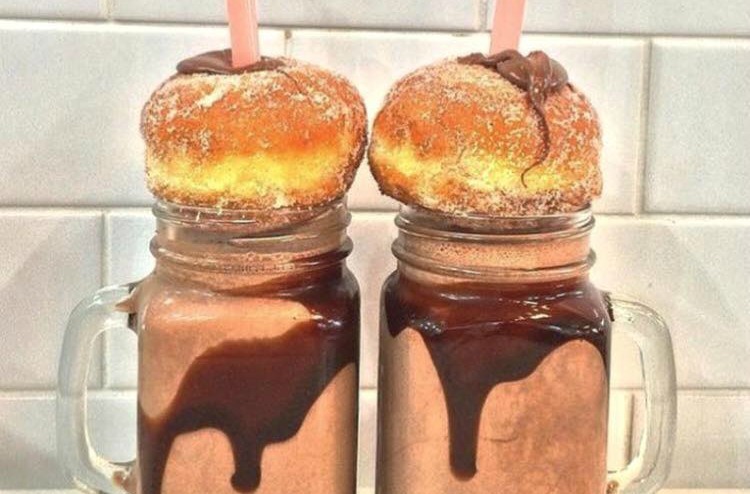 Nutella decadence at its finest. Not only is the whole menu at Ruby’s in Waverley delightful (and there’s a kids menu too! ), but there’s a Nutella highlight. Try the Nutella Brioche, sprinkled with sea salt and olive oil. They are plenty generous with the Nutella and the brioche is soft and warm. With locations in Haberfield and Bondi Beach (conveniently just a short stroll away from the ellaslist office!) is Papa’s famous Ricttoa and Nutella Cheesecake! The light, fluffy and baked ricotta goes so darn well with the oozing, creamy nutella. Trust us, make this cake the star of your child’s next birthday party and you’ll make their dreams come true! It comes in a mini version if you can’t justify buying an entire cake for yourself… but it’s Nutella after all, so no judgement. Nutella Scrolls at the Oregano Bakery in Hurstville- ’nuff said, really. They also sell Nutella filled sugary doughuts and Nutella bombs- little pastry balls drizzled in Nutella. You might have found them at the Smooth Festival of Chocolate, for good reason. Piccolo Me has 5 venues in the CBD alone, as well as in Kingswood, West Pennant Hills, Crows Nest, Baulkham Hills, and our favourite- the Royal Botanic Garden, Sydney. 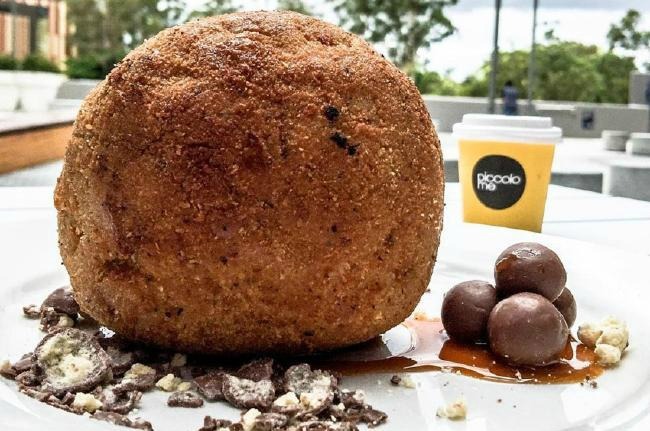 You’ve just got to try their giant deep fried Nutella ice cream balls, and treat your little one to a babycino, served in their signature “Nutella Cups” with a Nutella crotop to mop up the froth. It’s just pure, chocolate heaven at Piccolo Me!